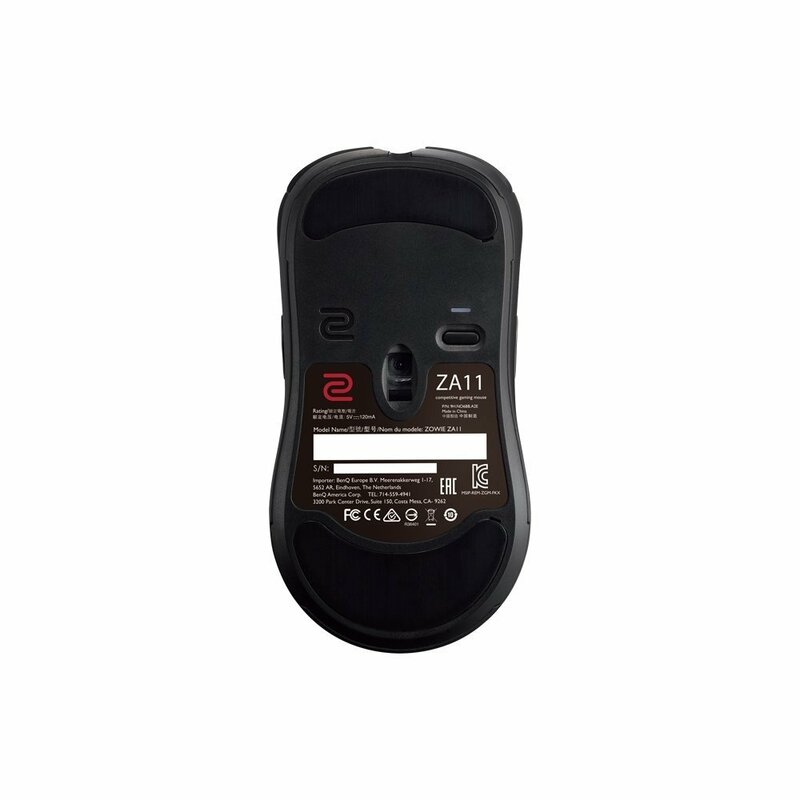 Part of the ZOWIE ZA range the ZOWIE ZA13 mouse is the smallest mouse in the collection with the ZOWIE ZA11 being the largest. 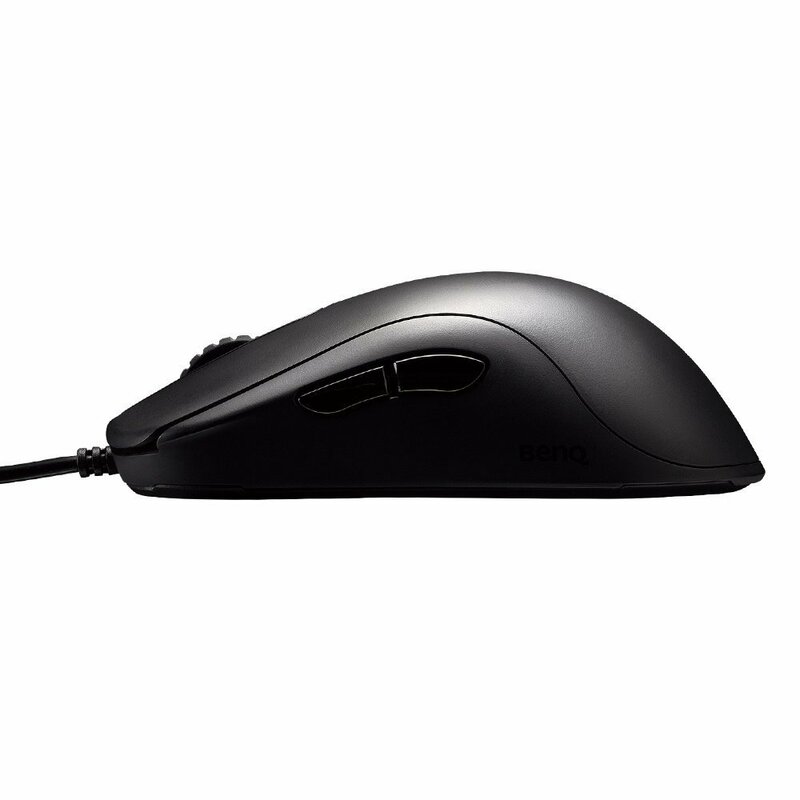 Being the smallest and largest the ZA13 does feel a little light, this took some getting used to, unfortunately, there isn’t an option to add weight to the mouse. 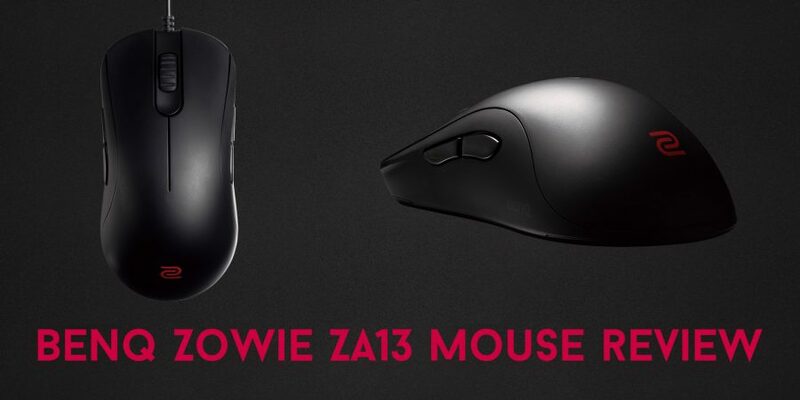 The ZOWIE ZA13 mouse is advertised for eSports with an ambidextrous design and the ability to use this mouse if you have a claw or palm grip. 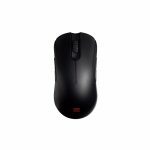 For my palm grip this mouse is perfect, it fits nicely in my hand and gives me a comfortable, firm grip of the mouse. Build quality of the ZOWIE ZA13 is plasticky but good quality plastic, you don’t notice the overall plasticky feeling after a good few hours of use. The biggest issue I have with the build quality is the scroll wheel, it’s too sensitive, which can cause issues when playing competitive eSports titles, mainly Counter Strike where scroll wheel is jump. 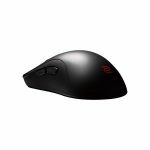 Despite ZOWIE building a quality mouse that can be used for left or right handed users with claw or palm grip, you can’t program every button on the mouse. 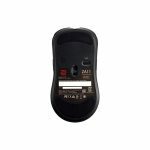 The mouse has four additional buttons, two on either side of the mouse, but you can only use two at a time, the other two are disabled. This has meant that I’ve had to change push to talk buttons, not ideal but the solid tactile click makes up for this. 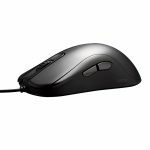 Fast clicking and individual clicks are satisfying and crisp, however holding the mouse button down and moving the mouse isn’t as slick as other mice. For example, when playing deathmatch on Counter Strike and spraying for every kill this can get quite uncomfortable, again this is a minor issue to a very specific set of people. The mouse has the Avago 3310 sensor, this means it can switch between 125/500/1000hz and 400/800/1600/3200dpi. It also has a low LOD which can be set to plastic mouse pad, cloth mouse pad or a high setting. I’ve had no issue with sweat on the ZA13, the coating is high quality and sweat simply wipes off even after hours of intense gameplay. The simplicity of this mouse is a breath of fresh air compared to the lights everywhere, buttons everywhere trend from other mouse manufacturers. 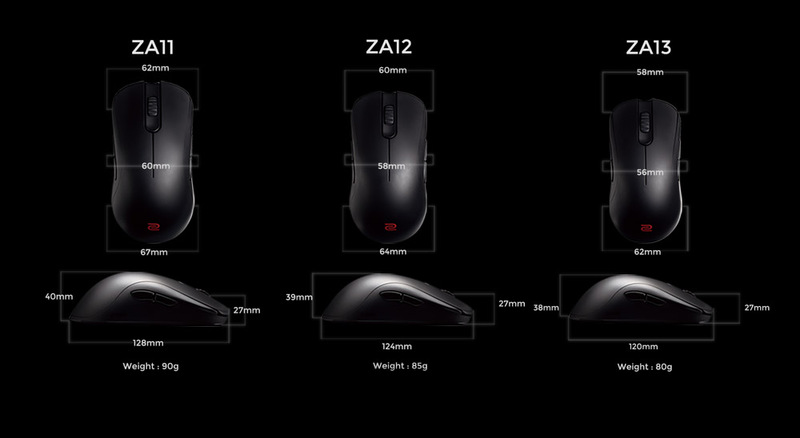 Because of this simplicity, ZOWIE has been able to focus on quality over gimmicks. The worst part about this mouse is the price, it’s somewhat expensive but the mouse is worth the money. 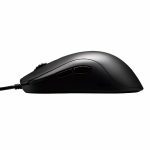 "Overall a great mouse for esports. Simple, high quality, and perfect for any type of grip."